various uses, more suitable for home use. 1. This product is suitable for the surroundings, which need faint scent or disinfectant, or increasing humidity. 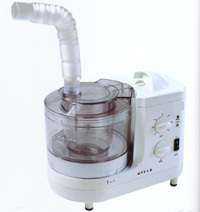 It has a 500mL reservoir, more convenient for use. Applying over 1MHz ultrasonic nebulized mist to clean the face is very effective, and it is a usual skin care method, very convenient and comfortable. Immerse the jewelry in the detergent and then turn on the machine. The grease and dirt can be removed from the jewelry after 10 minutes.